Never again will I advocate for “legalizing” anything. I am embarrassed to say that initially, I fell for the trick Canadian politicians have pulled on us. Thankfully, I wasn’t so duped to vote Liberal, but still, three years ago I naively thought that enough members of the political class had recognized the immorality of the war on drugs, and were seeking minimize the destruction of citizens’ lives by taking cannabis off the list of prohibited substances. Sure, I knew it would be a tax grab, that’s just par for course in Canada, but I thought the driving factor was that the public opinion had shifted to view cannabis as no more harmful than alcohol, and Justin Trudeau’s Liberals were simply the ones to reap the windfall in votes. 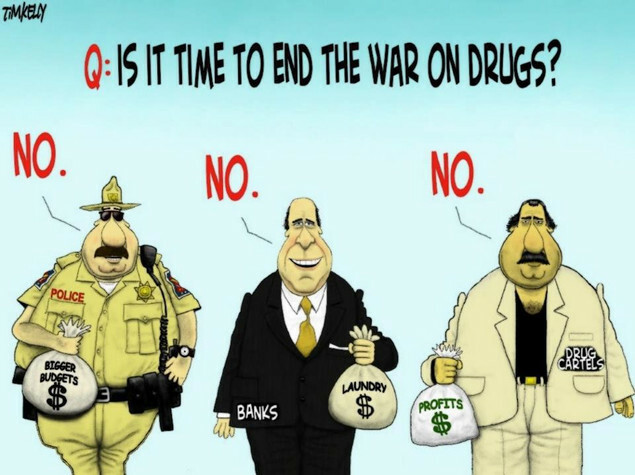 What I did not imagine was “legalization” being used as a cover to continue fight the drug war with new powers and agencies. Something started to smell funny when the feds announced that cannabis would be legalized July 1, 2018, and police forces said that didn’t give them sufficient time to prepare. “What did they need to prepare for?” I wondered. Impaired driving came to mind, but there were already laws on the books to deal with that. Possession, production, distribution and sale outside the legal system will remain illegal and subject to criminal penalties proportionate to the seriousness of the offence, ranging from ticketing up to a maximum penalty of 14 years’ imprisonment. 14 years? That’s no joke. What this lead me to understand is that there would continue to be a white market for cannabis, as well as a black market. 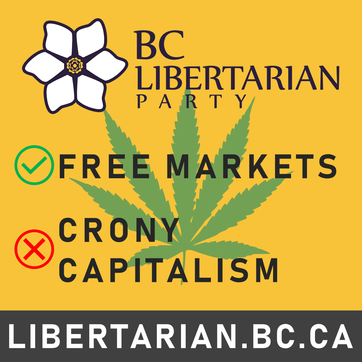 The white market would be heavily controlled by the government —in most provinces in Canada, the only legal retailers will be provincial government stores, distribution would be monopolized by the provinces (much like alcohol), and production would given to a privileged group of licenced producers who had the ability to navigate the regulatory process. The black market does not seem to be going anywhere fast, even though getting rid of it was one of the main motivations politicians gave us for “legalization.” Consumers who are getting a product they want for a decent price from their dealer aren’t likely to pay a premium to switch to government weed. At least in BC, few police resources have been devoted to busting these guys in recent years, and I would be surprised if that changed, particularly considering illegal opiods are a much larger concern these days. It seems that the real target of the new regime is the grey market: namely, your local dispensary. Now that the Cannabis Act is in force, the benign neglect these businesses enjoyed has evaporated overnight, and municipal governments have warned unlicensed dispensaries to shutter their doors or expect a visit from the cops, or possible blacklisting when it comes to the issuance of municipal business licences. 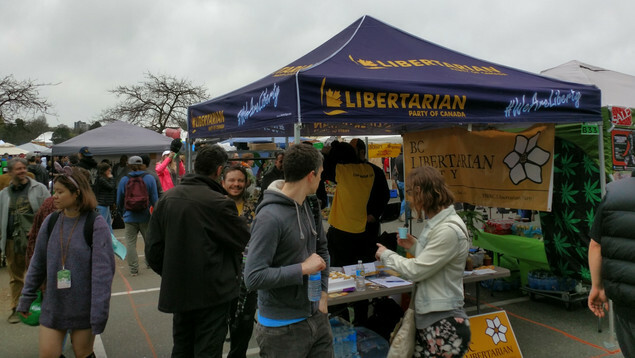 This is what happened on Oct 18th to two unlicensed dispensaries in Port Alberni, with their products seized and fines issued, even though they had applied for provincial licenses. The thing is, currently there’s only one brick and mortar store open: the government-run one in Kamloops. Everyone else in BC is supposed to buy it from the government’s online portal (with a Canada Post strike looming—isn’t it wonderful to see the various branches of the state coordinating their efforts?). So why haven’t licenses been issued to any private BC retailers yet? The provincial government decided not to go for a system of interim licences like Alberta, and wants to let municipalities review each license application, even though they’ll be making cannabis retailers jump through their own licensing hoops at the local level. The heavy-handed approach of the regime carries over to cannabis possession as well. Unlike alcohol, where you can stock your liquor cabinet as much as you like, you’re only allowed to possess certain amounts of this newly “legal” product: 30 grams of dried cannabis, with equivalent limits on other forms such as concentrates and edibles. Possessing more than this can get you a criminal record and up to 5 years in prison. If you grow your own, you’d better keep it to the 4 plant per household limit or face up to 14 years in jail. The legislation authorizes police to use additional tools, such as roadside oral fluid drug screeners, enacts new driving offences of being over a prohibited blood drug concentration, and allows for blood samples to be collected without first requiring a driver to undergo a drug recognition evaluation. The prohibited blood concentration of THC is 2 nanograms, a miniscule amount. Like alcohol, tolerance for THC and hence impairment varies greatly from person to person, with the added complication that it stays in the bloodstream after it’s no longer active. The scientific jury is still out on what constitutes impairment for the purposes of driving when it comes to cannabis, but 2 nanograms seems to be just an arbitrarily low threshold. If the bit above about blood samples being collected sounds creepy, it should—police jabbing you with a needle by the side of the road does not sound like a safe situation, for either motorists or cops. And while they may be able to use mouth swabs (oral fluid screeners), the standard means of testing seems to be the drug recognition and evaluation (DRE) process, which includes 12 steps and is performed on the suspect by two police officers at a detachment and takes a couple of hours. Kyla Lee, a Vancouver lawer who specializes in impaired driving defense, is convinced that this process is designed to virtually guarantee suspects will fail. The maximum penalty for drug impaired driving that does not cause bodily harm is 5 years. On top of the federal legislation there are provincial laws against impaired driving. These are particularly worrying in BC from a civil liberties point of view because even suspected offenses can end up on a person’s driving record and result in driver’s license suspension. BC’s legislation forbids any consumption of cannabis by anyone inside a vehicle, whether driver or passenger, and could be penalized with fines up to $10,000 a six month prison sentence. When people really started talking about cannabis legalization a couple years ago, a frequent comment I heard was that it was all about the money, and that it would be a big cash cow for the government. Today, it doesn’t look that way, with speculation that some provinces won’t cover their costs in the first year. How it possible to lose money selling weed when you’ve stacked all the rules in your favour? Only the government could screw up such a sweet gig. Maybe they aren’t taxing it enough? No, a 10% or $1 per gram excise tax, plus 7% PST, plus 5% GST—that’s 22%! Plus with the provinces controlling all legal distribution (like for alcohol) you can expect a wholesale mark-up which goes into provincial coffers and is effectively another tax (unless of course bureaucracy create a bottleneck leading to severe supply shortages, as is happening now in Alberta). If getting consumers to abandon the black market was the plan, this is the wrong way to go about it. With the heavy regulation of and state-owned enterprise involvement in the cannabis market, the increased penalties for possession or sale of illegal cannabis, impaired driving laws that don’t require proof of impairment, and a tax regime that ensures legal cannabis won’t be price competitive, it makes me wonder, what’s the government’s real motivation with their “legalization” regime? I think it’s control for it’s own sake. Sure, public safety plays an important factor in that, and yes the Liberals wanted to make sure they weren’t making themselves an easy target for social conservatives by appearing complacent in this area. You could ask a thousand politicians and bureaucrats what their motivation is and none of them would give you this answer, but if you take a step back and look at the state as a system, or even an organism, you can see that it operates according to its own logic. Biological organisms live to pass on their genes to the next generation, even if none of them recognize that this is what they’re doing when they eat, run away from predators or mate. Within one species and between species, genes compete and the fittest survive. Something similar happens with businesses in a free market—the ones that serve customers and manage their finances best live on, while those that can’t, disappear. We also hear the term “marketplace of ideas,” which implies that good or useful ideas will replicate, while unpopular ones fade away. The state, however, isn’t subject to the same kind of evolutionary pressures, at least not on a time scale we can easily reckon with. Being a monopoly on the legitimate us of force, it doesn’t face direct competition. Just like the farmed animal that no longer needs to fear predators can grow to a size many times that of its wild ancestors, so too can the state grow to a size that is truly unnatural. And as it grows it becomes ungainly and unsteady on its feet, resorting to laboured and exaggerated movements just to keep its balance. It ocillates between shaky steps and pauses to regain balance, always trying but not always succeeding to impose control on its movements, for it knows that when you’re so heavy, a fall can mean serious injury. It’s the logic of the state to grow, and as it grows it must control more and more areas of society or risk being thrown off kilter. Now that I understand the operating logic of the state, I won’t be so easily duped next time the government tries a bait and switch like they did with cannabis. Instead, I’ll advocate for decriminalization—removing, from the criminal code, the crime of simply possessing a thing. Hand in hand with that should go expunging the criminal records of those with possession offenses, which sadly has not yet happened with cannabis. Though I’m hopeful that in time, through the efforts of groups like Cannabis Amnesty, this will happen, the fact that it wasn’t part of the roll-out on Oct 17th just reinforces my belief that cannabis “legalization” is mainly about more control for the state. My starting assumption going forward is that adults of sound mind have the right to consume and possess whatever they want, and the only legitimate role for government to step in is when that use infringes on some else’s right to life, liberty or property.